Find Georgetown, SC Homes for sale. View Photos, Maps and MLS Data Now! Maryville Farms - Minutes to historic Georgetown, shops, restaurants and marina. MLS#1909084. All measurements and square footage are approximate. Buyer is responsible to verify. MLS#1909048. Just 13 minutes from Georgetown and 1/4 mile from Browns Ferry public boat landing. MLS#1908952. Debordieu Colony - People who have been here say there there is no place like DeBordieu Colony. Come see for yourself! MLS#1908691. Debordieu Colony - Custom home features are extensive molding, 2 fireplaces, hardwood floors, Plantation shutters, separate den and office spaces with a large patio, storage spaces and 2 under home garages. MLS#1908508. A home like this isn't available very often. MLS#1908491. This 3 bedroom/2 full baths home features a breakfast bar and dining area, large living room and lots of natural light, and a front porch on a large, sunny lot. MLS#1908493. Charleston and Myrtle Beach are approximately an hour's drive south and north respectively. MLS#1908472. Historic District - ft. garage apartment above with 1 bedroom and 1 full bathroom. MLS#1908316. Wedgefield Plantation - Oversize 2 car garage has workshop and plenty of room for toys. MLS#1908398. Wedgefield Plantation - This wonderful golf course community has optional club and golf memberships as well as a neighborhood boat landing and day dock on Black River. MLS#1908273. 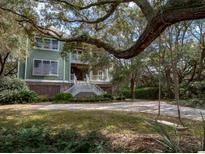 Francis Marion Estates - Georgetown is located in between Charleston and Myrtle Beach. MLS#1908166. Britt Street is located less than 1 mile from the Carol Ashmore Marine Complex ( public boat landing ) allowing direct access to the Winyah Bay and is less that 8 nautical miles from the ocean. MLS#1907985. Windsor Plantation - *Buyers responsible for verifying square footage. MLS#1907967. Come see this true gem in its historic setting. MLS#1907940. *Buyer is responsible for verifying square footage. MLS#1907947. For South Island Plantation Dowling Homes has designed it's Winyah Bay Coastal Collection to fit harmoniously into this wonderful seacoast setting. MLS#1907859. 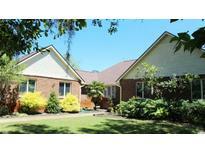 Call your agent today for further information and to set an appointment to see this home. MLS#1907869. Kensington Estates - The home and large homesite have great curb appeal! MLS#1907759. This one won't last long! ! MLS#1907709. 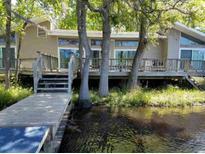 Black River Retreat - It's something that you have to see for yourself, so don't miss out! Book a showing today! MLS#1907672. 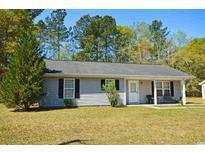 Winyah Place - I forgot to mention, this property is on a 1 acre lot with no HOA and gorgeous live oak tees out front.! Schedule your showing today! MLS#1907550.